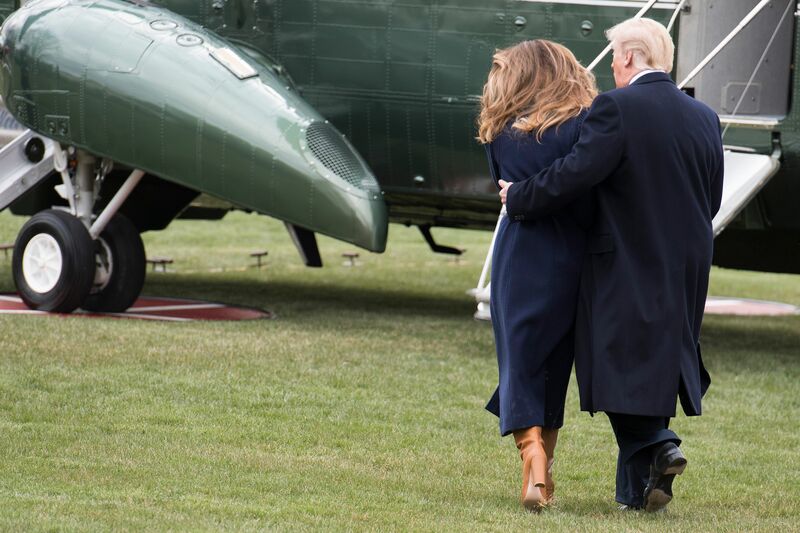 The Trumps were en route to Manchester, New Hampshire Monday afternoon when Melania tripped. 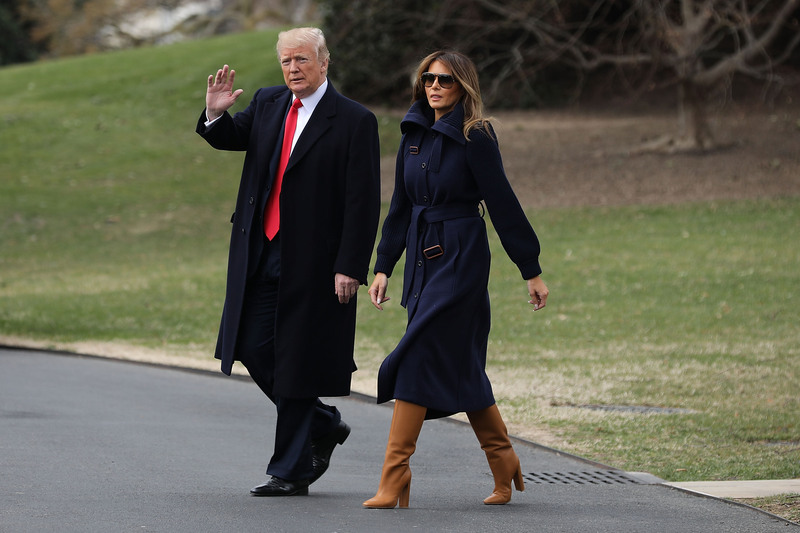 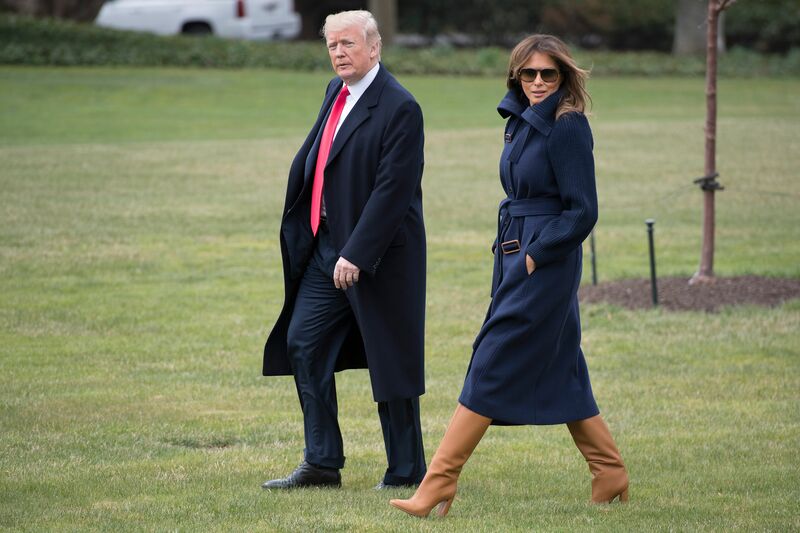 The President and First Lady were heading to a speech and roundtable to discuss his administration’s war against the opioid epidemic. 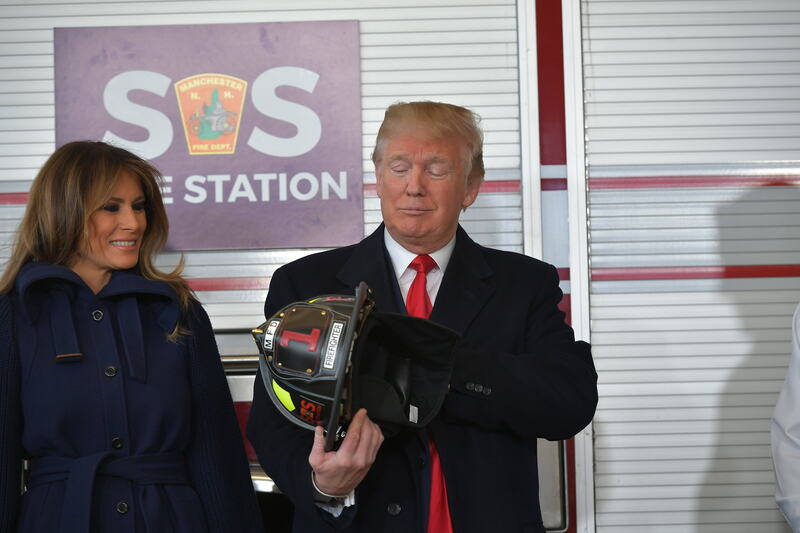 The Trump administration has set up a task force to combat the epidemic, which claims over 100 lives per day. 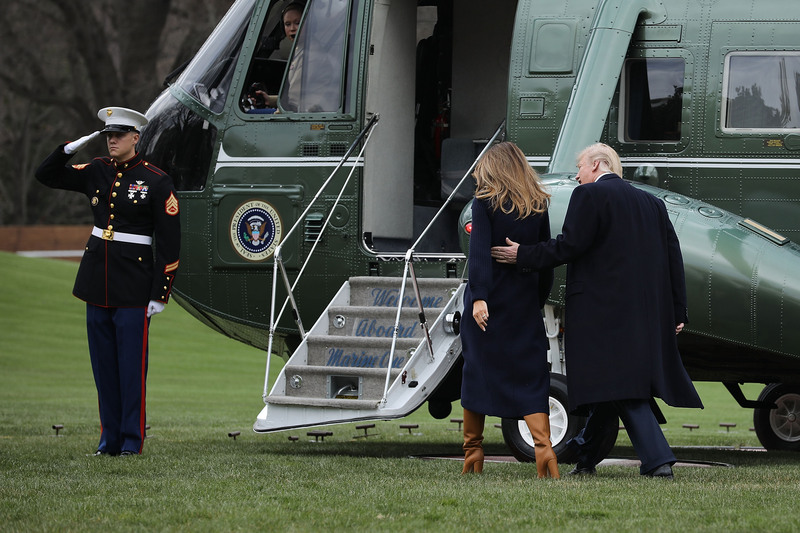 On the walk out to Marine One, the Trumps smiled at the press. 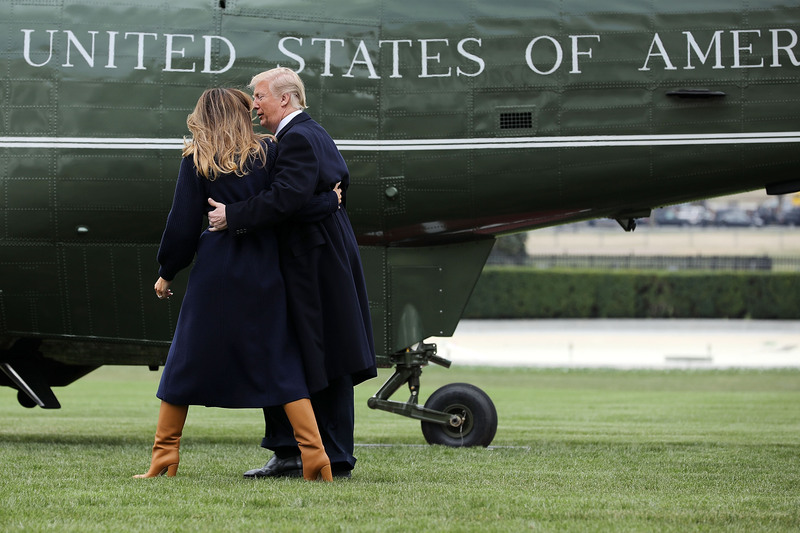 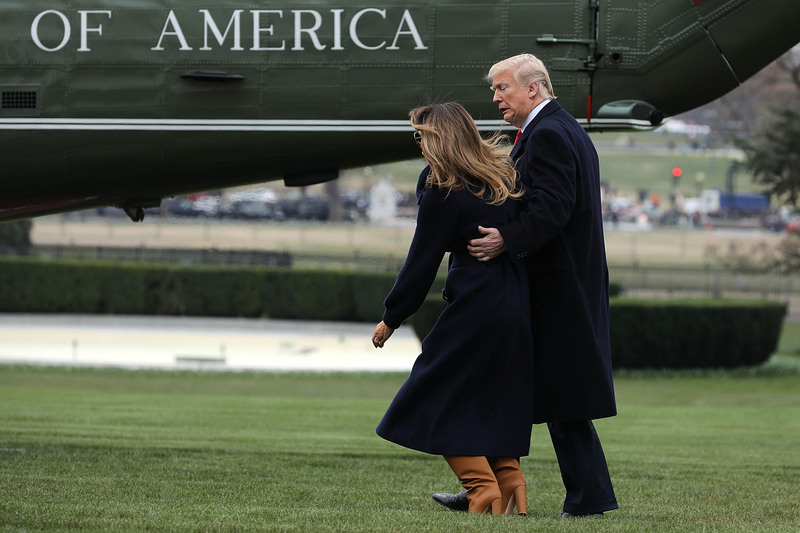 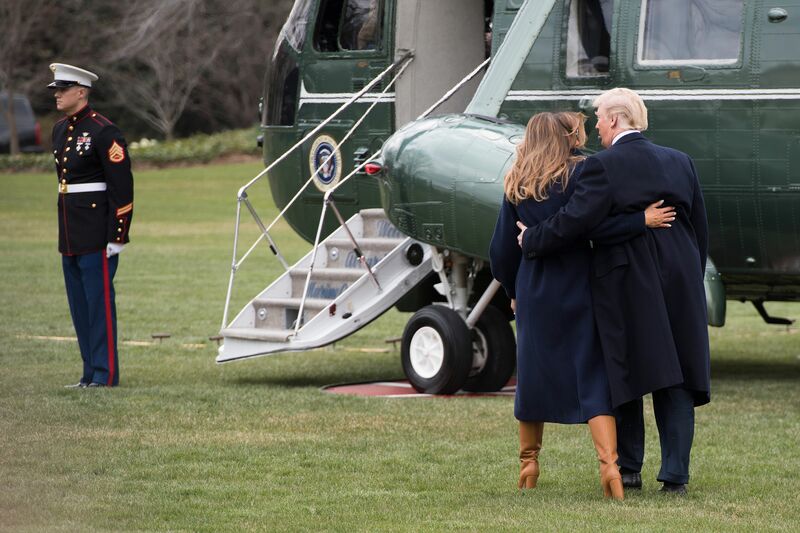 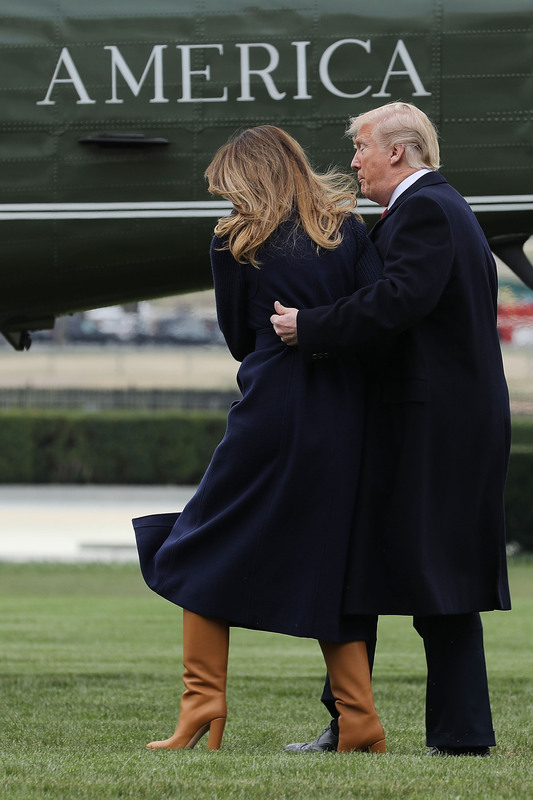 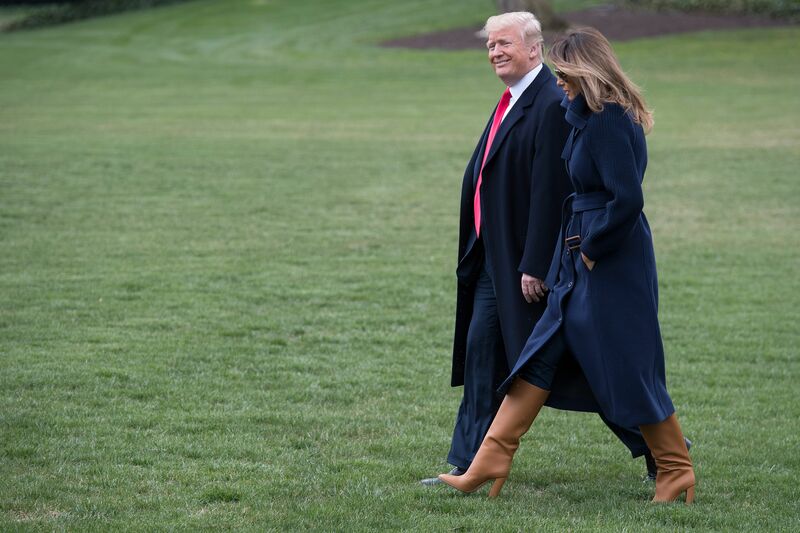 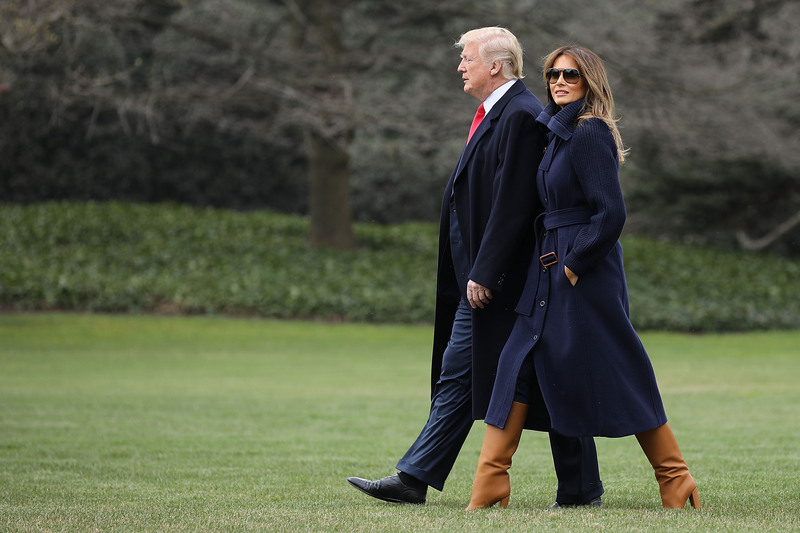 Melania was wearing heels, sunglasses and a long navy blue coat, when the White House lawn snuck up and bit her. 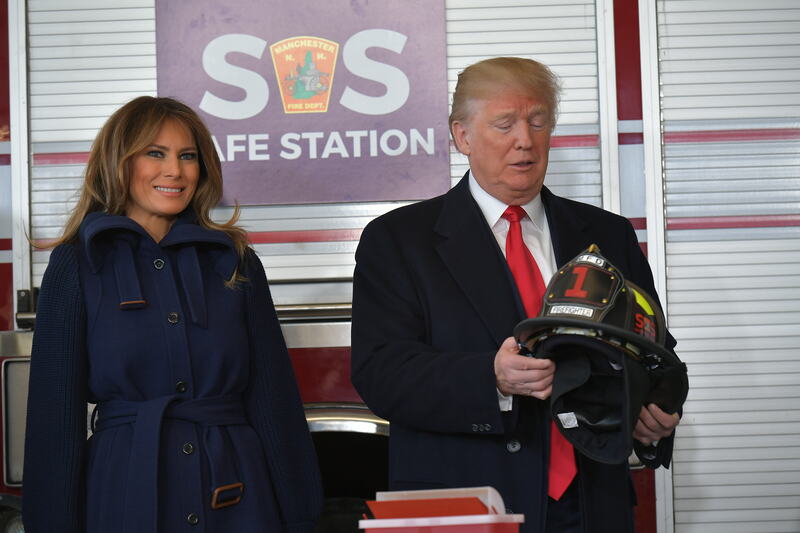 According to the series of photographs, Melania recovered and looked appreciative for the help. 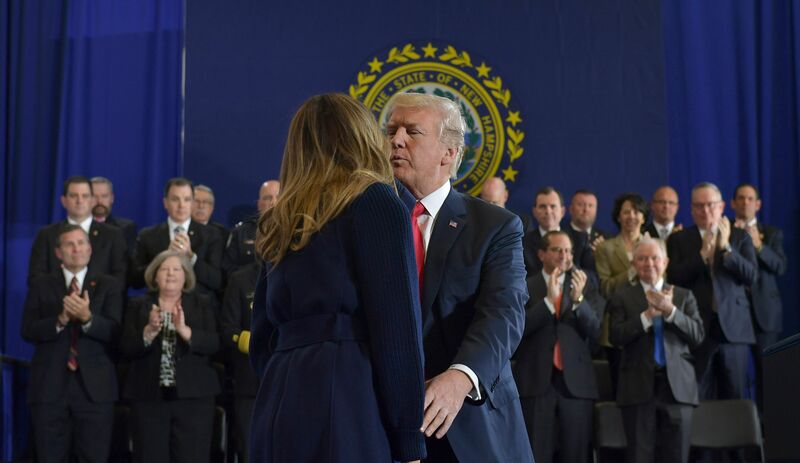 The Trumps eventually made it to New Hampshire without further incident, where they both gave speeches on the opioid crisis.